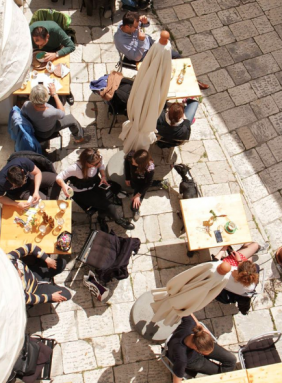 Education for Sustainable Communities is a co-creative gathering taking place from 20 to 23 September 2017 in the scenic Dalmatian town of Šibenik. Representatives of transformative learning projects, initiatives and institutions engaged in community, adult or higher education are invited to share their visions and experiences and to build joint capacity. This is an event of the European Day of Sustainable Communities organised by ECOLISE, the nextRenaissance initiative, the Leadership for Transition Partnerhip and the Šibenik Hub of Ecology. For further information please contact markus.molz(at)ecolise.eu.